For an upcoming Greenfield Project, “GVL” assumes the role of Electrical Partner of the client. Based on Plant Architectural Layout & Machinery Layout “TEAM GVL” prepares a Unique Comprehensive Electrical Power Distribution Scheme along with Protection & Control logics. The “THOUGHTFULLY ENGINEERED ELECTRICAL POWER DISTRIBUTION SCHEME” confirms to relevant Indian Standards(IS), National Building Code of India(NBC), Indian Electricity (IE) rules & regulations ensuring “HIGHEST SAFETY” to Personnel during Installation and to the Operations Personnel. Furthermore the scheme ensures elimination of breakdowns, loss of production & damage to precious equipment , machinery. Thus we “Optimise Energy” in turn “Optimise Cost” in terms of Capital Expenditure (Capex) & Operational Expenditure(Opex). The unique scheme devised by Engineers having Hands-On expertise and comprises of the following: • Precisely calculated Maximum Demand (MD) & Contract Demand(CD), since the Electricity Company billing is based on both Contract Demand & Maximum Demand. • Right Sizing of Transformer is critically important since Energy meter of Electricity Supply Company is prior to the Transformer and losses are measured, metered & billed. • Right Sizing of DG set in view of rising cost of fuel. • Single Line Diagram. (SLD) • Cable Schedule. • Earthing station layout & schedule. • Electrical Equipment layout. • Internal & External Illumination(Lighting) scheme based on Lux requirements. • General Arrangement(GA) drawings of various electrical control panels. To complement the well-engineered scheme we carry out entire electrical installation work by deploying a team of well trained technicians & dedicated supervisors. The team is supported by required Infrastructure e.g. Vehicles, Measuring Instruments, Machines, Tools and Personal Safety Gears. 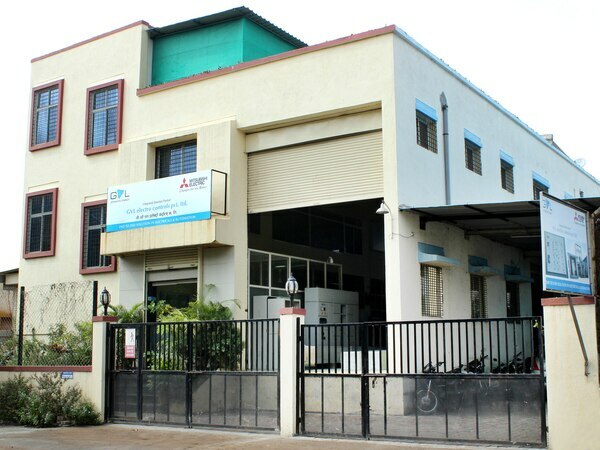 We have set up a state of the art manufacturing facility in MIDC, Bhosari-Pune. We are pleased to inform you that our Panels are successfully Type tested at CPRI-Bhopal for the following: • 4000Amp., 65kA Short Circuit Test. • Temperature Rise Test. • Ingress Protection(IP-54.) We are now associated with globally acclaimed technology giants: • L&T: Integrated Solution Provider of 11kV to 33kV Vacuum Circuit Breakers(VCB’s). • Hitachi Power Electronics: Authorised Channel Partner for Variable Frequency Drives(VFD’s). • Mitsubishi Electric: Integrated Solution Partner for Low Voltage Products. Our product range of Medium Voltage (MV) Panels is as follows: • 11kV, 22kV, 33kV Load Break Switch Fuse (LBS) Units. • 11kV, 22kV, 33kV Vacuum Circuit Breakers(VCB). * 11kV to 33kV Feeder Pillars. Our product range of Low Voltage (LV) Panels is as follows: • Motor Control Centre (MCC). • Power Control Centre (PCC). • Automatic Power Factor Control (APFC) Panels. • Real Time Power Factor Control (RTPFC) Panels. • Auto Mains Failure (AMF) Panels. • Power Distribution Boards. • Air Insulated Bus Bar Trunk. • UPS Power Distribution Board. • Lighting Distribution Boards. • Furnace Control Panels. • Variable Frequency Drive(VFD) Panels. • Automation, PLC Panels.